Drinique's elite tall 14 oz. Unbreakable tumbler (24pc case) gives you the look and feel of premium glass, but they are actually made from innovative Eastman tritan polyester. Drinique is perfect for any setting from the boardroom to the pool. Bpa-free tritan from Eastman makes Drinique drinkware virtually indestructible and safe. There's no comparison to the acrylic or polycarbonate glasses we've all used and had to replace after just a short time. In fact, if your feeling a little low, stand on one, yep they're that strong! Tritan drinkware from Drinique is dishwasher, microwave, and freezer safe. 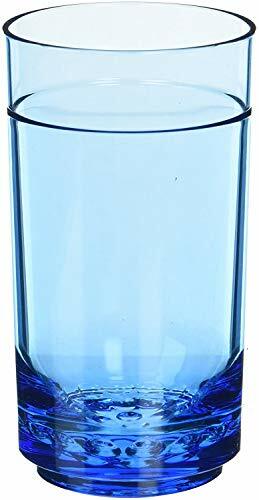 The Drinique elite tall tumbler holds 14 oz. Of your favorite beverage. Lifetime warranty against breaking, cracking, chipping and crazing. Made in USA.